Gain attendee feedback through your app through a variety of options. 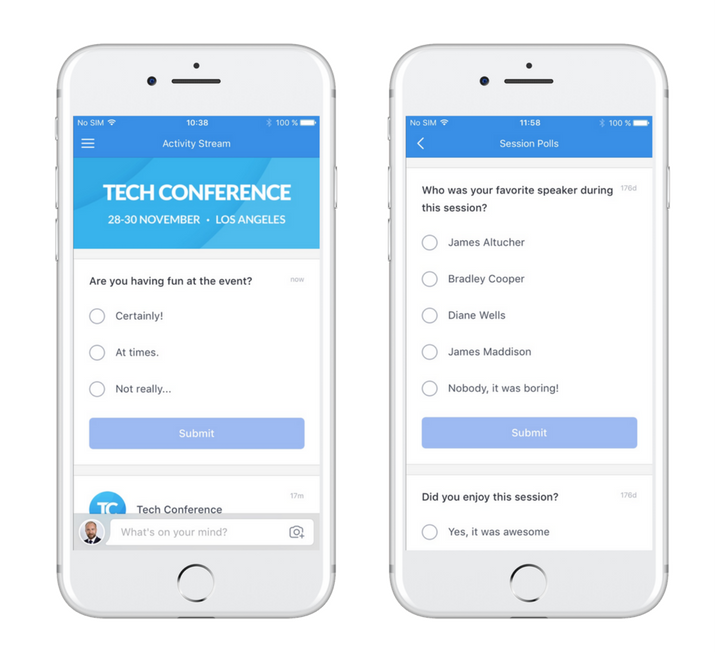 Use quick polls to collect feedback on the activity stream or in individuals sessions. You'll be able to show poll results live during your event. 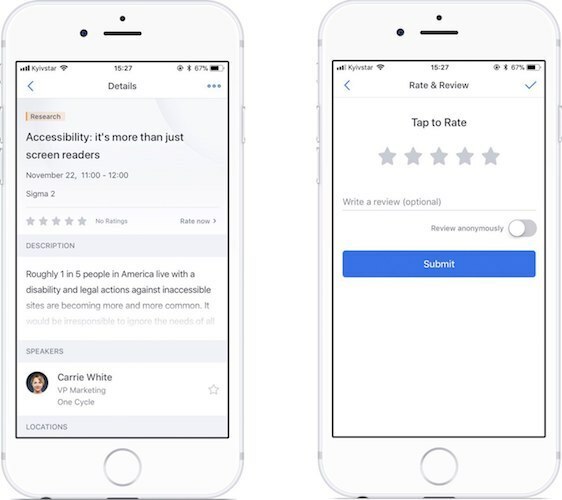 Attendees can use our built-in "Rate & Review" feature to write a text review and/or leave a star rating for individual sessions and speakers. 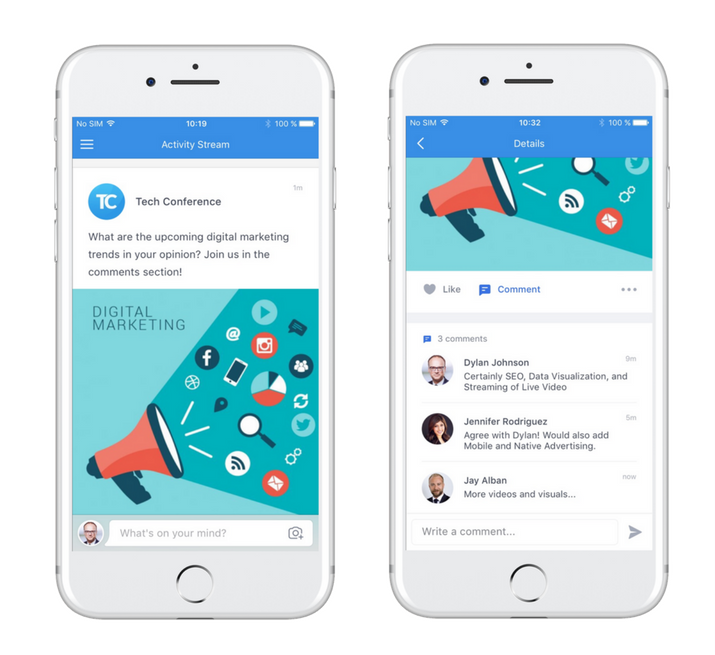 Post questions to the activity stream and initiate discussions in the comments section. 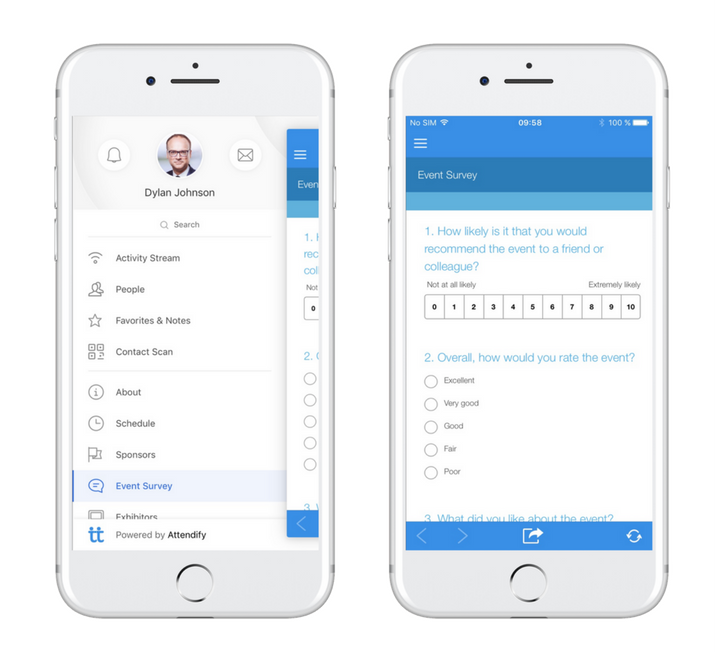 With the help of the WebView feature, you can easily incorporate any online survey tool (e.g. Survey Monkey or Google Forms) right in the application menu to collect feedback.